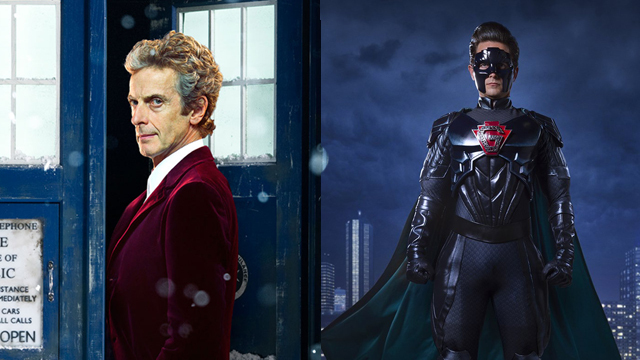 BBC Worldwide North America and Fathom Events today announced their final theatrical event of 2016 with the Doctor Who 2016 Christmas Special, “The Return of Doctor Mysterio,” now set for a big screen release. The Doctor Who 2016 special will hit movie theaters nationwide for two nights only on Tuesday, December 27 and Thursday, December 29 at 7:00pm local time both days. 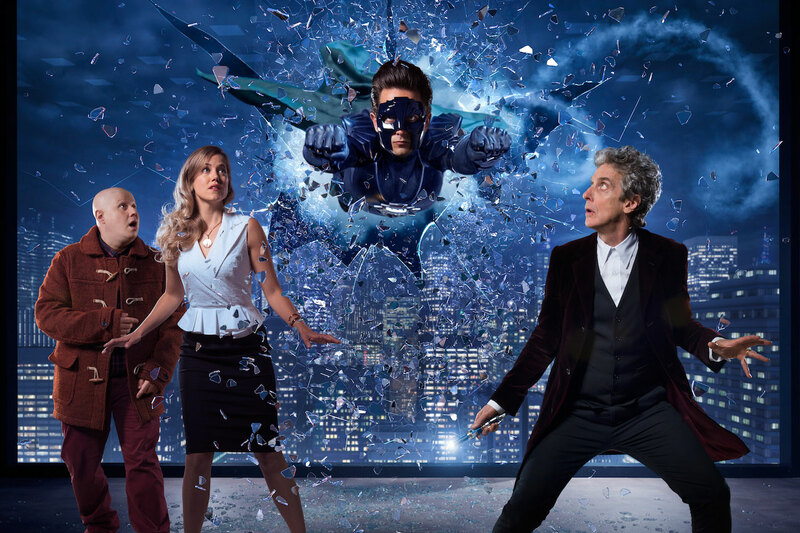 The Doctor Who 2016 Christmas Special event will include the full 60-minute episode plus two exclusive bonus features, “A New Kind of Superhero,” which offers a special inside look at Doctor Who’s concept of a modern superhero, and a special “Christmas Doctor Who Extra,” which shows off the making of this year’s special, with appearances by stars Peter Capaldi and Matt Lucas as well as showrunner and executive producer Steven Moffat. Join the Doctor, played by Peter Capaldi, as he teams up with an investigative journalist, played by Charity Wakefield (Wolf Hall, The Player), and a superhero to save New York from a deadly alien threat. Written by Steven Moffat, the Doctor Who 2016 special stars Justin Chatwin (Orphan Black, Shameless) as Grant, along with Matt Lucas (Alice in Wonderland, Bridesmaids), Adetomiwa Edun (Lucifer, Bates Motel), Aleksandar Jovanovic and Logan Hoffman. “‘The Return of Doctor Mysterio’ will be an excellent way for fans to celebrate the holidays in true Whovian style,” says Soumya Sriraman, EVP, Franchise and Digital Enterprises, BBC Worldwide North America. The Doctor Who 2016 Christmas Special will air on BBC AMERICA on Christmas Day. It is executive produced by Brian Minchin, produced by Peter Bennett, and directed by Ed Bazalgette (Poldark). It was shot in Cardiff at BBC Wales Roath Lock Studios. Doctor Who is produced by BBC Studios Wales. Tickets for the Doctor Who 2016 Christmas Special can be purchased online beginning Friday, November 18, 2016. The event is expected to show in nearly 400 movie theaters through Fathom’s Digital Broadcast Network.